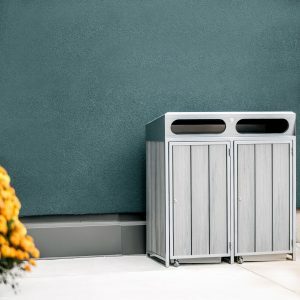 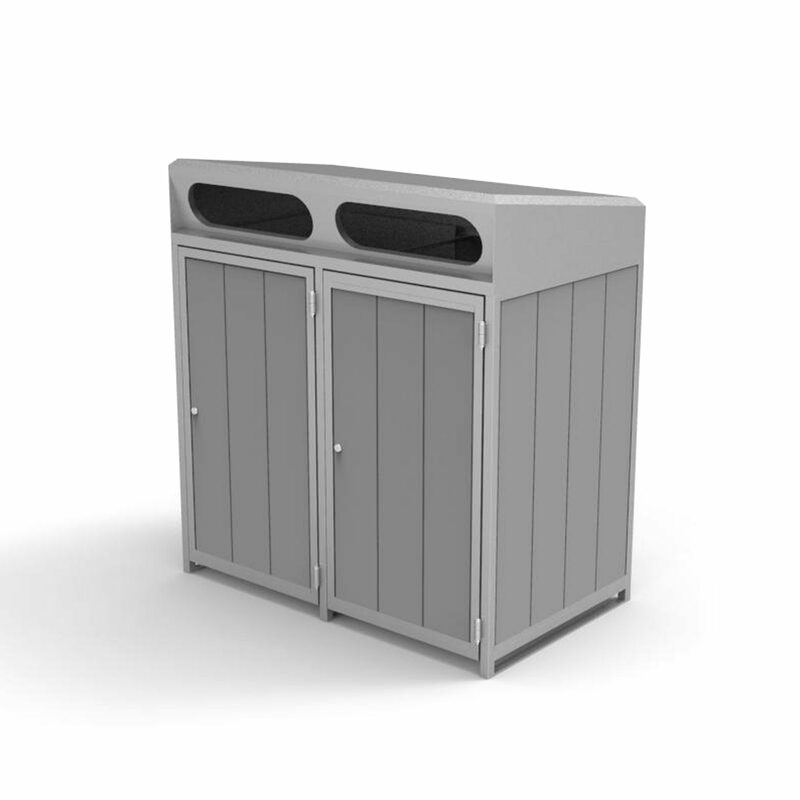 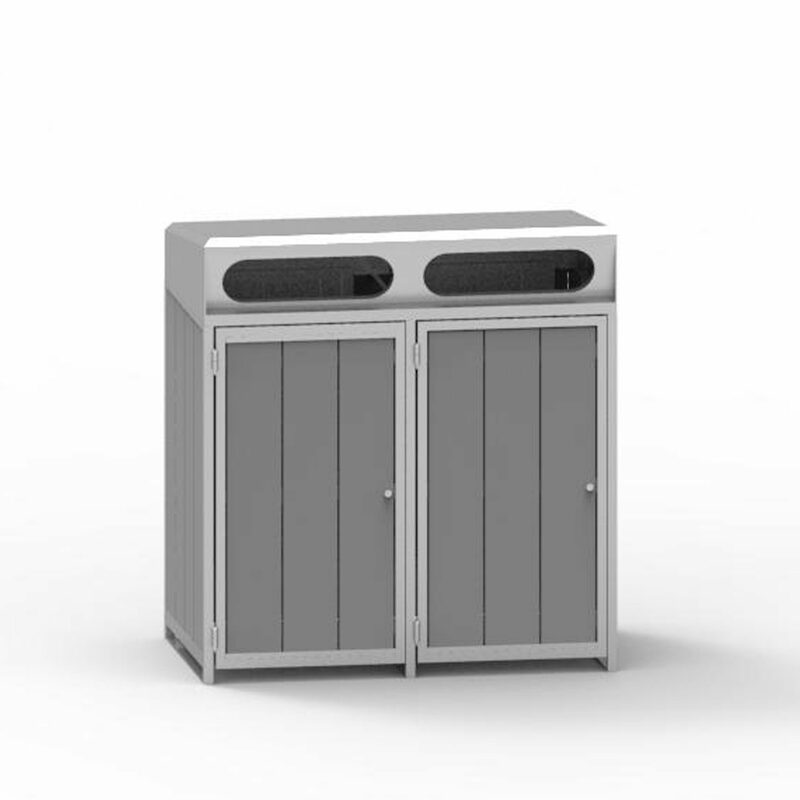 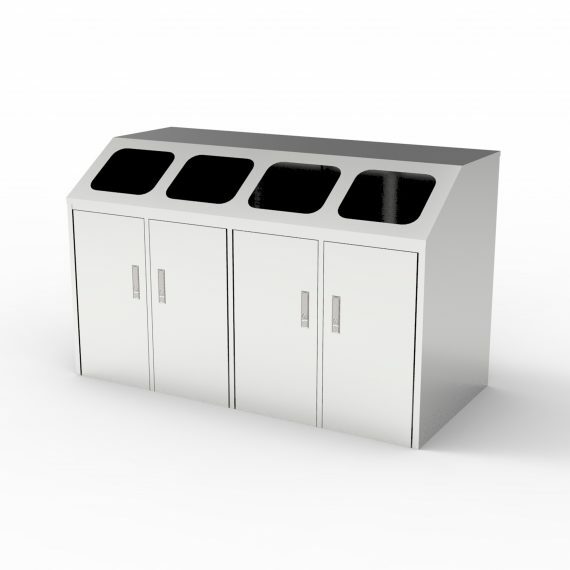 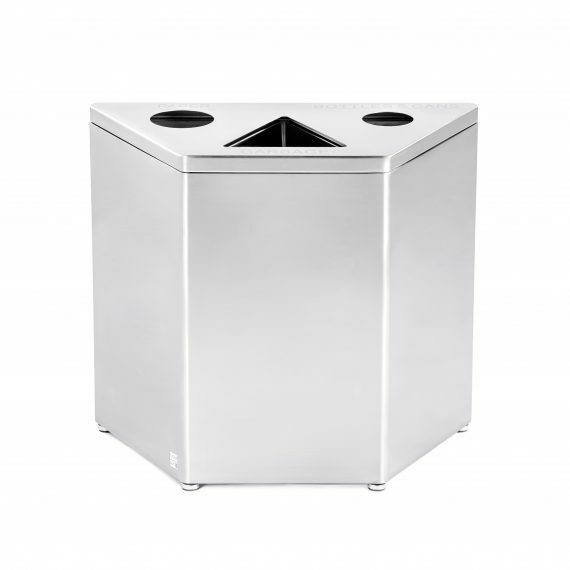 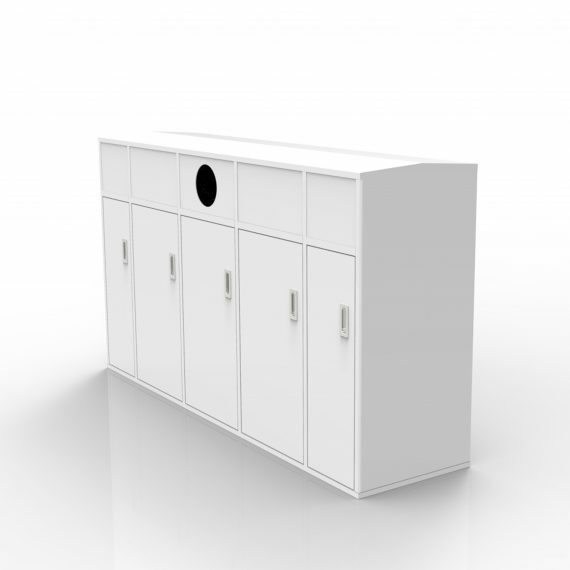 CRC-140 is a recycling bin with two compartments. 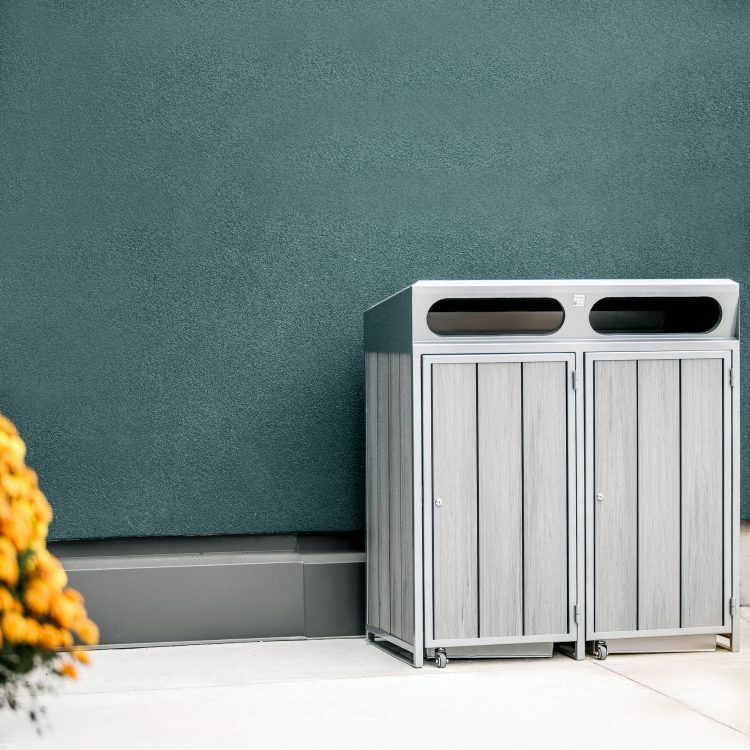 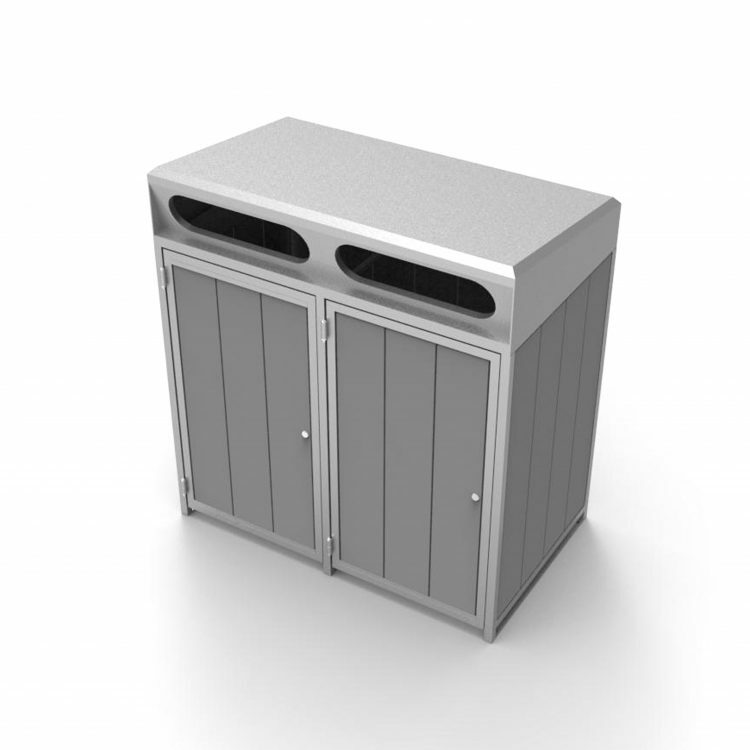 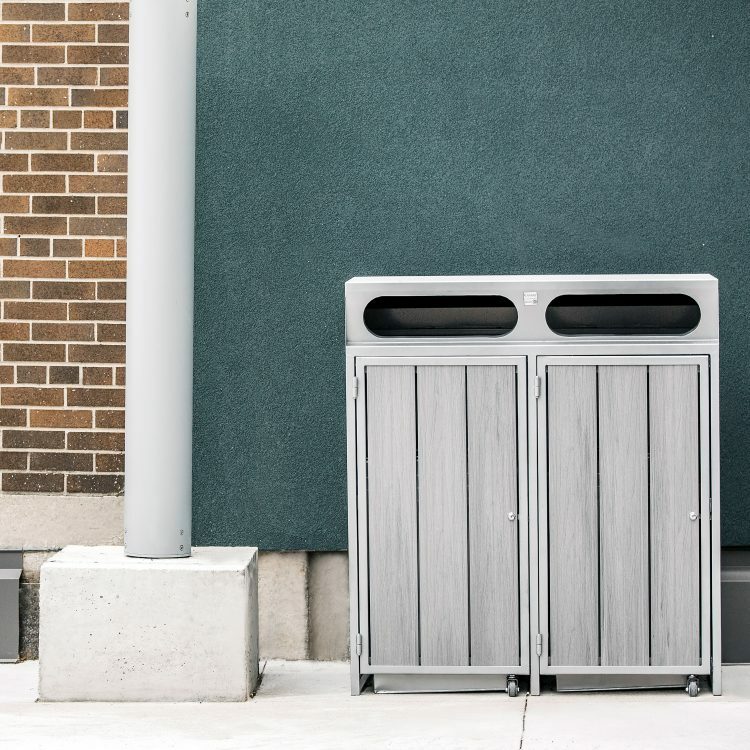 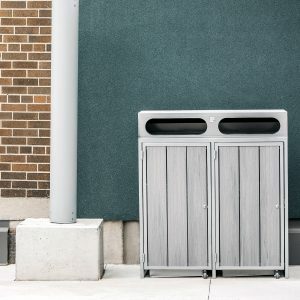 This is an arresting modern recycling receptacle with galvanized steel shell decorated with recycled plastic wood panel on all four sides. 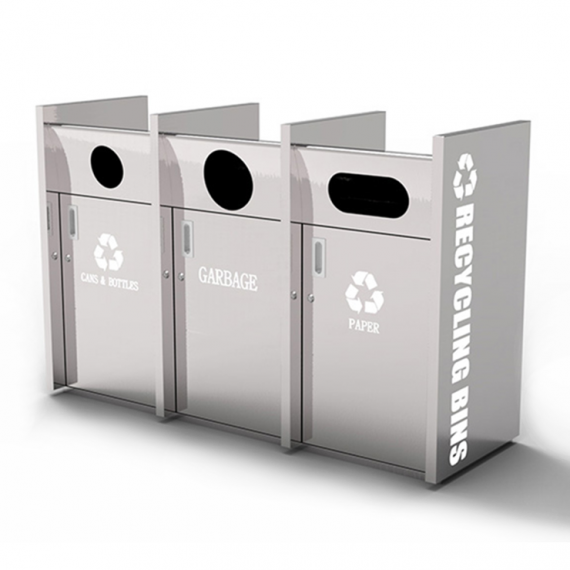 Deposit opening can be customized to serve different needs. 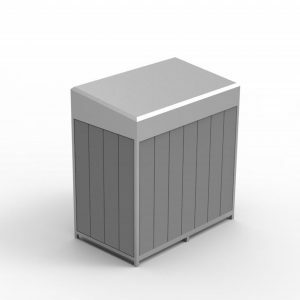 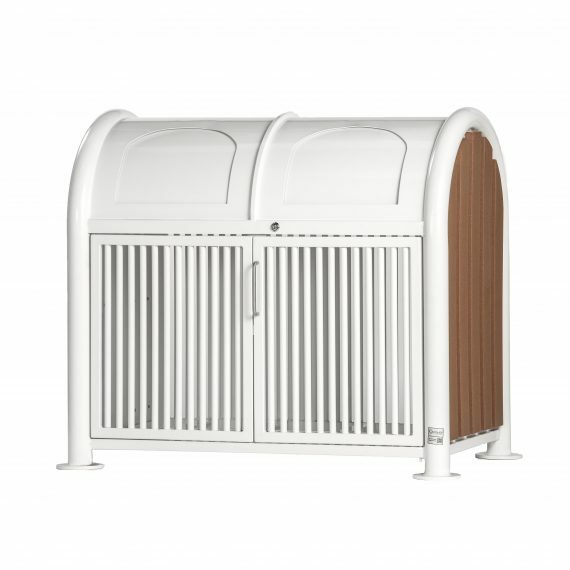 CRC-702 is constructed with galvanized steel liner.